Normally, I don’t have an issue with critters in the garden. I live behind a 10-foot fence all around our property and it’s a gated community of two. Very few four-legged friends get in, but this year was a little different. First, it was the slugs! Now they are more of a pest than a critter, but I put them in here as they too attacked my garden this year. Then there was the quail! 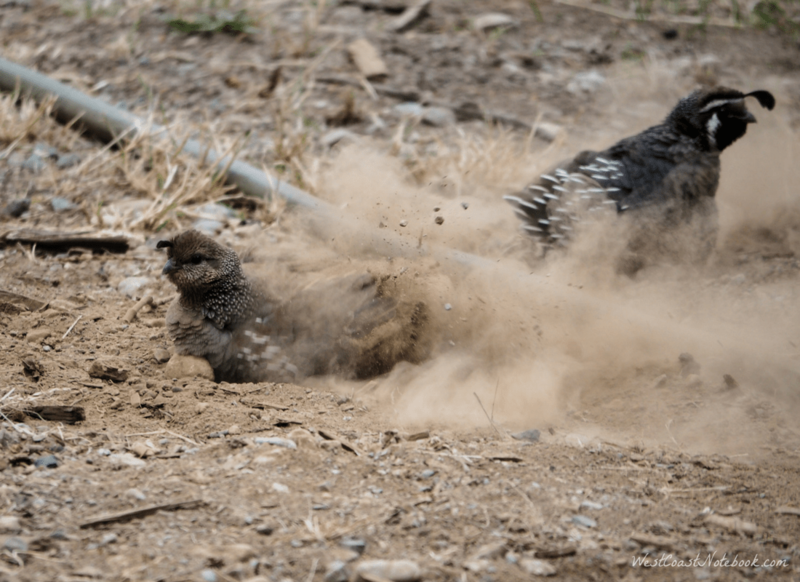 I love the quails and have a brush pile for them in particular set up in the yard so I really can’t blame them too much for thinking that the garden was open season. They loved the tender young seedlings and would nip them off any chance they could. Also, they are like chickens in the sense they like to scratch in the dirt and find the seeds that were so carefully placed in rows. This led to replanting and finally to cover each raised bed with some sort of protection while the plants were taking hold. Netting worked the best as the plants could grow up through it and still get sunlight. The quails it appeared didn’t like to walk on it, so the plants were safe. But… during the hot, dry summer, their preference for bathing didn’t involve water. It was dust baths they craved. So, anytime you went out to the garden you could usually find a quail or two hunkered down in a hole that they carved out in the garden bed. They didn’t seem to care if they took out a plant or two in the process. Finally, as the plants grew and the beds filled in, they seemed to concentrate on the box with the potatoes in it and as they couldn’t hurt them I was quite happy to have their company as long as they behaved. And then there were the rest of the birds in particular robins which have a penchant for berries. As I have two blueberry beds, it became necessary to thwart their advances this year. We did that by building cages around the beds with plastic 1/4 inches netting and covered the top with it as well. I have to say it worked a treat and the only berries the birds got were the ones we threw out that were overripe. One night I was looking out of my office window at the bird feeders and there was a deer standing eating sunflower seeds. I had to look twice as I couldn’t believe it. I yelled at Rob and he chased it around the back of the house through the little forest we have here and I opened the gate and shooed it out. We figured it must have come in just before we closed the gates for the evening and finding ample amounts of food it was quite happy to chow down. The next morning I went out to see what damage had been done and it appeared that it had been in the yard for longer than we had thought. It had gotten into the long greenhouse on the back of the shop. There was just one opening in the centre for it to get in and it found it. Apparently, it wasn’t really keen on tomatoes but it did have a real appetite for peppers. Pepper plants were decimated. As of the time of writing this, only one plant has really produced any peppers out of the original four. It didn’t seem to mind the cucumbers either and had a few bites out of the actual cucumbers themselves but left the plants alone. 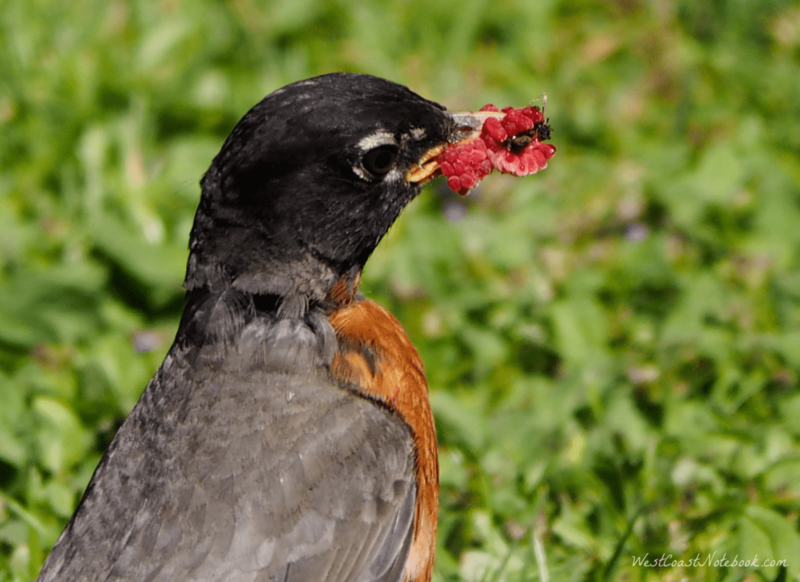 Once it had finished with appetizers in the greenhouse it headed out to the main garden and mowed down the kale and swiss chard and pulled up a carrot or two. Broccoli and cauliflower plants were pulled out by their roots with their little stems laying on their side in the dirt as the deer had defoliated the rest of the plant. It then headed over to the rose garden for dessert and very carefully nipped the roses and buds from the top before coming over to the house and taking my Christmas rose roots and all out of the pot that it was in. At that point was when we saw it and there was no further damage. 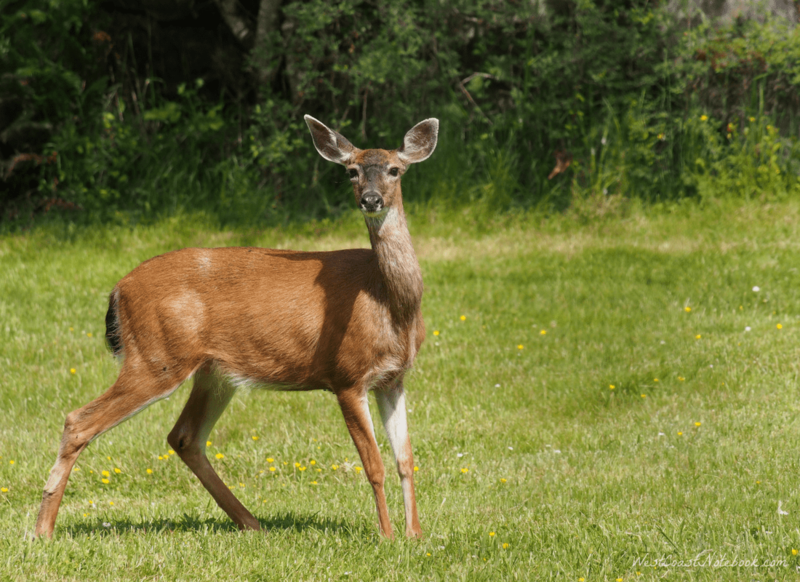 Not having to deal with deer before, my heart goes out to all the people who are trying to grow gardens and enjoy the wildlife as well without fences. Just a week ago, we had another two deer make it into the backyard but this time we saw them quickly and although they got a few mouthfuls in the losses were minimal. Time to close the gates! The next to come was the rats! I had noticed a few tomatoes in the greenhouse down at one end that looked like they were being nibbled on and in some cases almost completely eaten. Figuring it was some sort of rodent we put out some traps, but they seemed to prefer the tomatoes to the peanut butter. Then one day Rob and I were in the greenhouse picking tomatoes and a rat runs out from the bushes at the end, hops over a board, darts under the plastic and scurried down the garden path. He’s still there as far as we know, as the tomatoes are still getting eaten. He seems to prefer the little cherry tomatoes as I guess they are just the right size for a rat. Last but not least are the racoons! 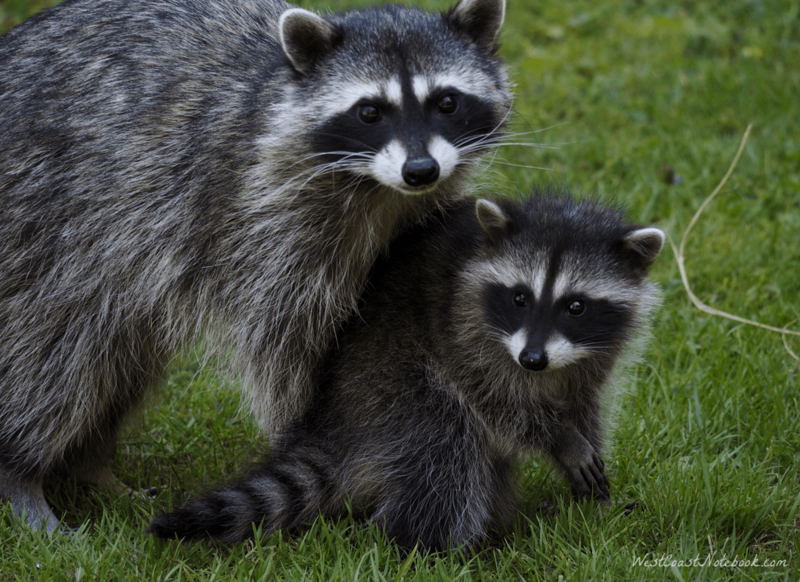 Now I know there is more than one racoon as I had a mother and two babies at the bird feeder this year picking up the seeds that the birds dropped. They are so cute when they aren’t in your garden. In August, I had planted a few corn seeds as my corn had been quite small this year. Tasty but small. I thought what the heck… if the corn came up and had corn it would be a bonus. Two stalks grew and produced cobs and I was just waiting for them to mature when yesterday when I went to check on the garden and there they were. Both had been toppled over and the cobs ripped to shreds. I knew it had been the racoons as they had left their little footprints in the dirt. They haven’t seemed to bother with anything else in the garden and hopefully, their tastes don’t run to the remaining root veggies. 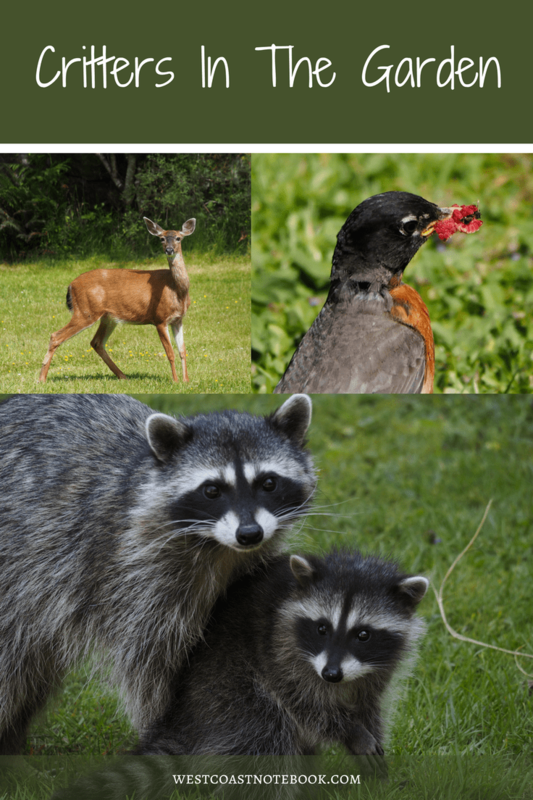 Well… that’s my tale of woes for critters in the garden and in looking back, I seem to have survived the season quite well and still got to enjoy the wildlife.